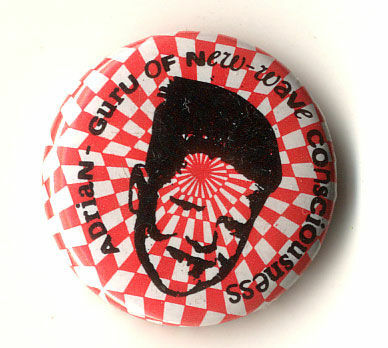 But there is only one life coach for me, and that is Guru Adrian. And I ‘m not alone. The Guru’s disciples are scattered around the globe and for each he means something a little different; in France he’s The Guru You Have When You’re Not Having a Guru, in Japan he’s the Guru of No Wave Consciousness and in Australia he is simply known as The God of Fun. 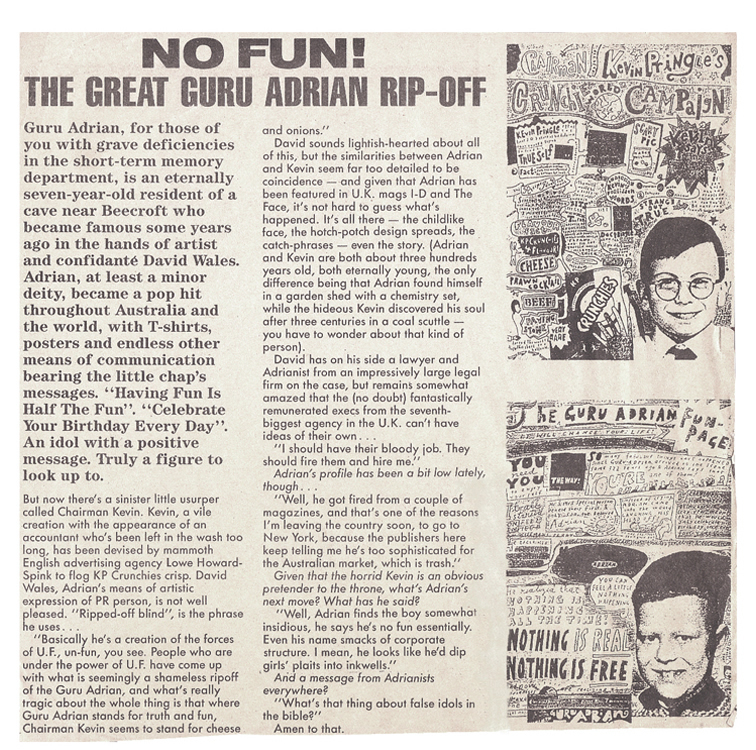 So who is Guru Adrian? 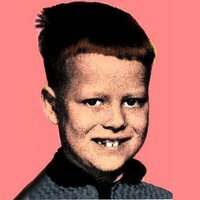 According to legend, Adrian Speshelperson was born in Beecroft in 1664, discovered the Secret of Eternal Youth with a Junior Science Kit at the age of seven and hasn’t aged a day since. In the late 1980s, the Guru made regular appearances in Countdown magazine dispensing his sage advice and in the mid 90s was feted by LA studio Hanna-Barbera, hoping to turn Adrian’s transcendental wisdom into an animated series. Fortunately the Guru’s revolutionary philosophy, Adrianetics, remains untainted by MSG and continues to help us all master consciousness and avoid becoming Groan Adults. The principle of Adrianetics is also not discordant with Ralph Waldo Emerson’s much quoted ‘Life is a journey, not a destination’. In the Guru’s case though, Adrian prefers to articulate it via the Four Big Questions: Who Am I? Why Am I Here? Where Am I Going? Can I Have a Window Seat? So is Guru Adrian a cult? I certainly hope so. I for one enjoy drinking his thoroughly refreshing brand of Cool Aide every single day. This entry was posted in Art, Entertainment, Fashion, Health, Lifestyle and tagged Countdown magazine, Dalai Lama, David Art Wales, Guru Adrian, Hanna Barbera, Pee Wee Herman by Lucia. Bookmark the permalink. Guru Adrian resides today in a cave at Beecroft with his pet pig called Pig, however I have documentation that he was born 1664 at Wisemans Ferry.